Perhaps it’s because Bonfire Night is on its way, or maybe he’s just reminiscing about his Islay holidays this summer, but there’s a distinctly smoky theme to Dave Broom’s new whisky reviews this week. The Hebridean island provides the setting for six hefty releases, all peated to varying degrees, with one even boasting the honour of being the world’s ‘peatiest’ single malt. If you’re into that kind of thing. But first to Islay’s Kildalton coast, where we’re thrown back in time to a challenging period for Ardbeg. 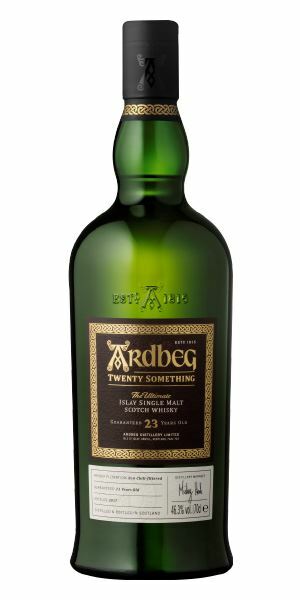 Twenty Something was distilled in the 1990s, a time of sporadic operation for the distillery but, given Broom’s score, they must have been doing something right. 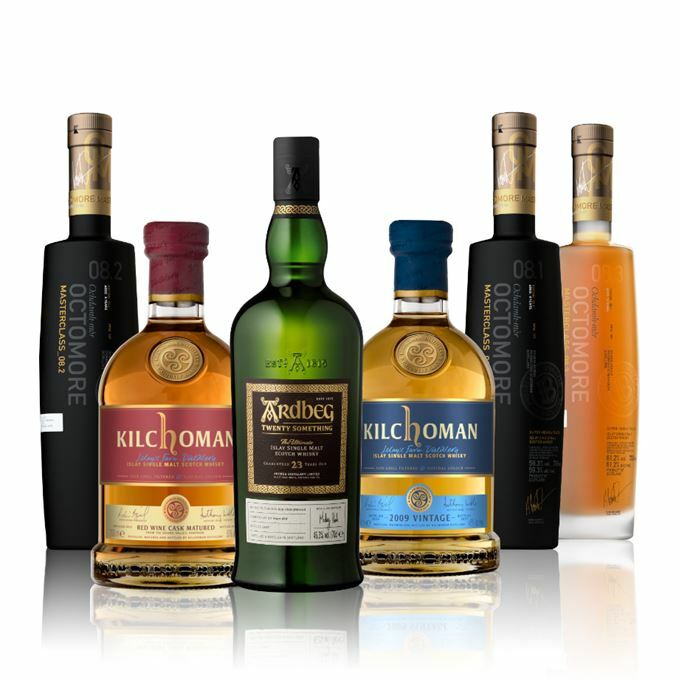 Twin releases from Kilchoman follow: the most ‘discreet’ of the pack in the guise of the farm distillery’s 2009 vintage, with its aromatic smokiness, and the more esoteric Red Wine Cask Matured, redolent of red fruit and tobacco. 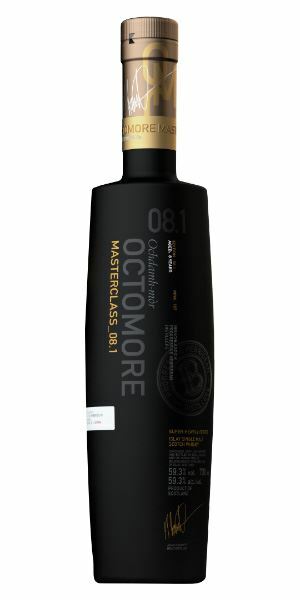 Peated whisky doubters look away now, for Broom goes on to tackle the first three of four big, bold Octomore 08 editions (08.4 is due for release in 2018), including the ‘peatiest’ Octomore yet. Can anyone smell something burning? The oiliness which meets you is mingled with some Parma Violet, Ardbeggian sootiness and some old-style bronchial balsam and a smoked date element. As it opens, there’s some mossy elements along with the scent of kicking up wet autumn leaves, before a surprising touch of Padrón peppers with salt. Things then deepen for a while into a tarry undertow. This is one which needs time. Even with water there’s an enigmatic character. While the oil – now more lanolin-like – is retained and there is a new grilled meat richness, it begins to move in a completely different direction thanks to a lactic note of soft goat cheese, then lemon juice on smoked oysters. Perhaps it’s the combination of age and the low(ish) strength – there’s some toffee, melted high-cocoa dark chocolate, but things are very relaxed to begin with. It only really picks up power from the mid-point onwards, when spices kick in with a flavour of pu-erh tea and toasted nuts. The same scenario is repeated when water is added. If anything, the spotlight only comes on when it’s almost reached the back of the tongue, when you pick up a complex mix of tarred ropes, grease on tweed, smoked fish, black fruits and green peppercorn. When neat, there’s smoked hake or halibut, while with water it’s more liquorice allsorts and a tantalising glimpse of juicy fruits. The climax is immense, a final defiant flaring after a contemplative start. Seems to sprawl along the palate like a retired actor on a chaise longue dreaming of his Dane. An oaky start with a very light, sappy green element before a soft fruitiness comes through – sweet pear initially and some of Kilchoman’s more scented qualities. The smoke on this expression is quite ashy, and the wood remains assertive. With water you get more vinous elements and some burning cherry wood. Creamy in texture, sweet and quite concentrated and fruity. The smoke is more obvious here, mingling with what seems to be a charred wood element. In time there’s red fruit – cherries in particular – and some hawthorn jelly. Water lightens the feel and pulls out more spicy oak before the fruity core comes back into play. Pipe tobacco. Quite firm and drying. 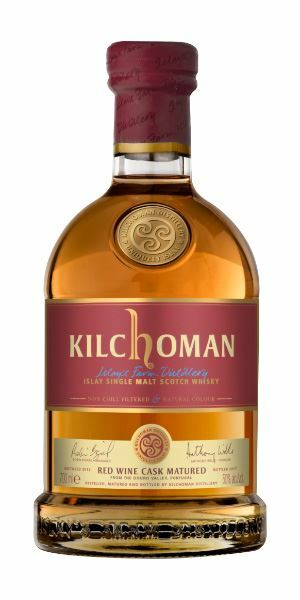 A different facet to Kilchoman. Portuguese red wine casks have here added fruit, but also a firmer touch. A fireplace the morning after. Glass of wine on the mantlepiece. Take it away, Gram. While this is light compared to the rest of this week’s offerings, it is still peaty. The smoke here is gentle, and balanced by a chalky element and hints of wet sand after a storm. There’s a little fruit and nut chocolate to begin with, but it’s another which needs time to open. When it does, you pick up light, bready aromas, frying mustard seeds and sweet, fresh barley. The wood is very subtle and gently handled, allowing a grassiness to come through alongside a cool face cream element, possibly from American oak casks. In time, there’s white florals and all the time this aromatic smoke. Soft and quite sweet, with the distillery’s signature fleshy mid-palate given an extra round fruitiness. That said, things are really quite subtle. Water brings out the smoke and more of the freshly starched ironing, along with violet flower. Water shows more of the creaminess and a new minty note, some cereal. As it develops, a lovely, smoky, rose-like incense element comes through with the tiniest touch of clove. Hugely drinkable. A little short perhaps, but discreet and rather delicious. One that could be easily overlooked among all of this noise – but never ignore the quiet ones. On the machair in summer. You couldn’t accuse this of being shy. There’s immediate smoke, which is accompanied by a perfumed element that suggests dried lavender and pot-pourri. Then the Laddie sweet freshness begins to come through, adding a central core along with a hot butter, floral, meadowsweet element. When water is added – and it does benefit from dilution – it becomes bright and lifted, with herb garden, some powdered almond and dried lemon peel. As things develop, so there’s some dried apple and more of the green edge – cut spurge, fresh celery and celery salt. In time you pick up clam shells on a hot Aga. Rooty and dense smoke, there’s smoked nuts and a thick, mouth-filling texture that still manages to be explosively powerful. Is there such a thing as smoked honey? There should be. Even at this age it settles comfortably in the mid-palate with no indication of any immaturity. The fruits are there, as is balanced smoke and a vanilla pod element. The back-palate shows some rose and then a bright zing of lemon. Barley sugar, smoke and then tar. The key here is that this manages to be massively smoky, but fresh and bright. The character is allowed to shine. A benchmark Octomore, methinks. A smoky Bloody Mary on a Sunday morning. The fattest of the trio, with notes of boiled sweets, rosehip syrup and a black cherry/damson vinous quality (Bandol?). The smoke is integrated, lifting from the dying embers of an apple wood bonfire. 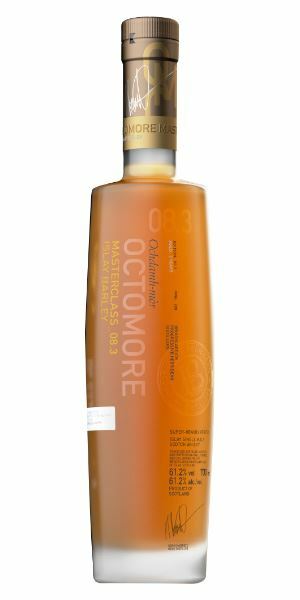 As it develops, so you get some of Octomore’s funkiness. Add water and things go towards hoisin sauce and the syrupy element begins to take charge, along with some blackcurrant leaf, tayberry and sedge. There’s definitely more dry oak on show now, but this is balanced (just) by an increase in richness and a gamey smokiness that develops into an oxidised quality. Thick and quite plump. Now you get cranberry sauce, accompanied by some prickly heat. The smoke is really well-controlled and balances well with the thickness given by the wine cask element. There’s a slight sense of the two elements – wine cask and spirit – vying with each other to gain the upper hand, rather than being fully combined. Long, ripe and smoked. In time you get more sweet wine and barley sugar. This has been aged for six years in Mourvèdre, ‘Austrian sweet wine’ and Sauternes casks, and then finished in Amarone for two years. As you do. It’s undoubtedly an impressive effect, but a bit too winey for me. Bloodshed at the Women’s Institute, as the jam-making competition turns nasty when Mrs Arbuthnot tries to burn down the village hall. Big, concentrated and head-spinning, with more fruity elements. The smoke has been dialed up and is more direct: like bacon fat sizzling on a hickory barbecue. The smell of a freshly-cut peat bank, mixed with toffee and an animalic quality. Water brings out a slight cheesy element, but steadily pulls the disparate elements together: wet walnuts, smoked duck and plum sauce, black cherry, newspaper ink, fresh fruit. As it develops, so the youth begins to show, along with a more crisp quality, but there’s also some of the herbal element seen on 8.1, this time more dill-like, before we return to the start with wine gums and bacon glazed with a whisky sauce. A fat, unctuous feel with integrated smoke that has a slightly maritime element – it’s more overtly fruity here and less funky as well. Things now shift towards coffee with some earthy notes, but it remains big, sweet and concentrated. There’s even some secondary maturation elements, which show themselves as the water peels back the highly dense mid-palate. It becomes slightly more vinous in time. Drying, hugely smoky, red peppers. Made with Islay barley (from Octomore Farm) aged in a mix of first-fill ex-Bourbon and red wine casks. Quite amazing for its age and marked within its competitive set. Slathered in peat, spreading kelp on the fields. Batch 121: Balvenie DCS Compendium Chapter 3 03/11/2017 Our editor Becky Paskin takes a journey through time with Balvenie’s DCS Compendium Chapter 3.